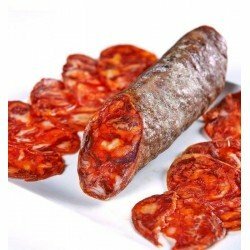 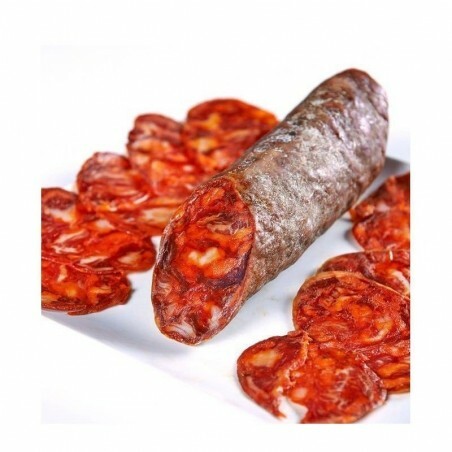 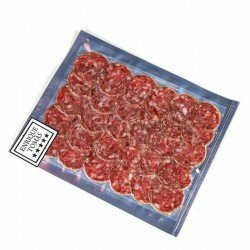 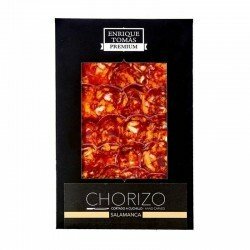 Enjoy the best Iberian chorizo sliced and vacuum packed in an 80-gram sachet. A comfortable and practical presentation with which you will only have to worry about enjoying yourself. 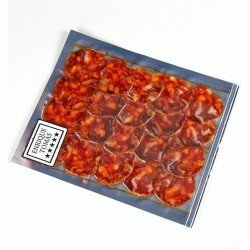 This Iberian sausage has been made from an exclusive selection of the highest quality lean portions of an Iberian breed pig, an animal unique in the world with which the best cured delicacies in Spain are produced, such as the ham shoulder-Paleta or the Iberian ham-Jamón ibérico.